Hey friends, how was your weekend? We had the perfect mix of productivity and relaxation over here. Our DIY chicken coop is finally finished! Can you tell that I’m excited? We’ve had a love/hate relationship with the chicken coop. It’s seriously been the project that never ends. 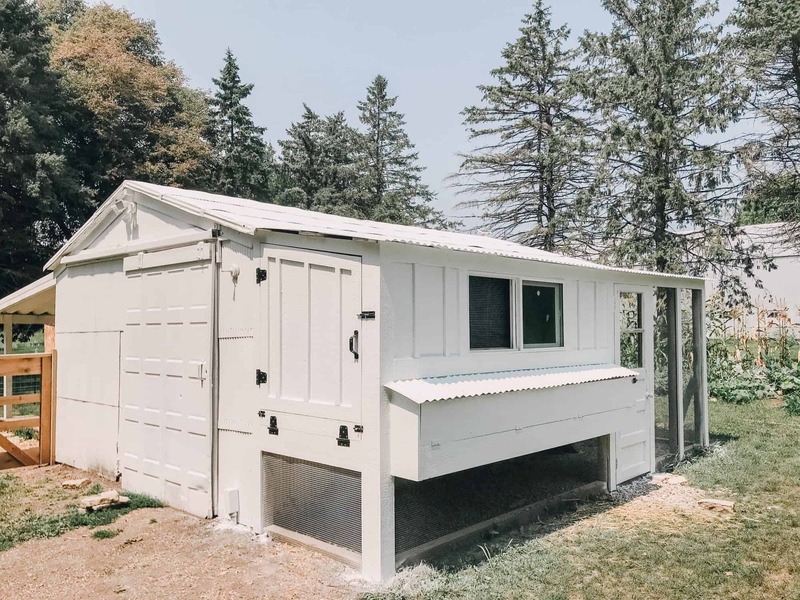 If you’ve been reading the blog for a while, then you might remember that we converted an old shed into a goat house and chicken coop. Ben completed the goat house months ago, but we put the chicken coop on the back burner for a while. 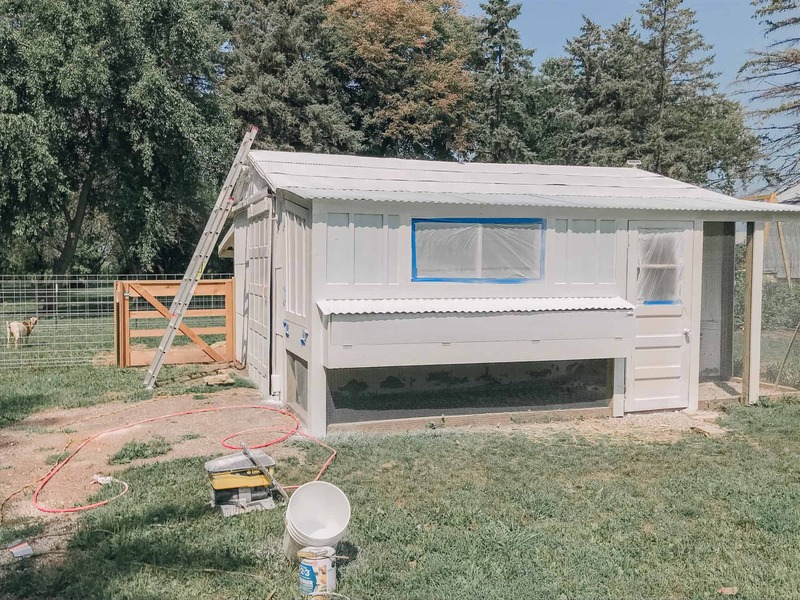 Between having a baby and a never-ending farm to-do list, the chicken coop wasn’t a huge priority. 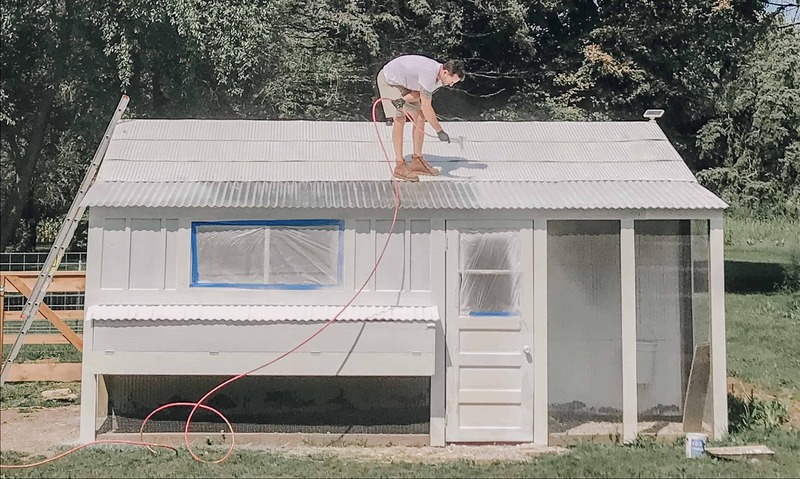 Seeing as we didn’t have a ton of plans this weekend, Ben decided to add the finishing touches to our DIY chicken coop. It was starting to drive me crazy to look at a half finished coop all the time, so I couldn’t be more excited. I packed up the kiddos to have a play date with their cousins and let Ben get to work. You guys, it seriously turned out amazing! Ben always goes above and beyond, but it looks like a play house. I’m kinda obsessed. 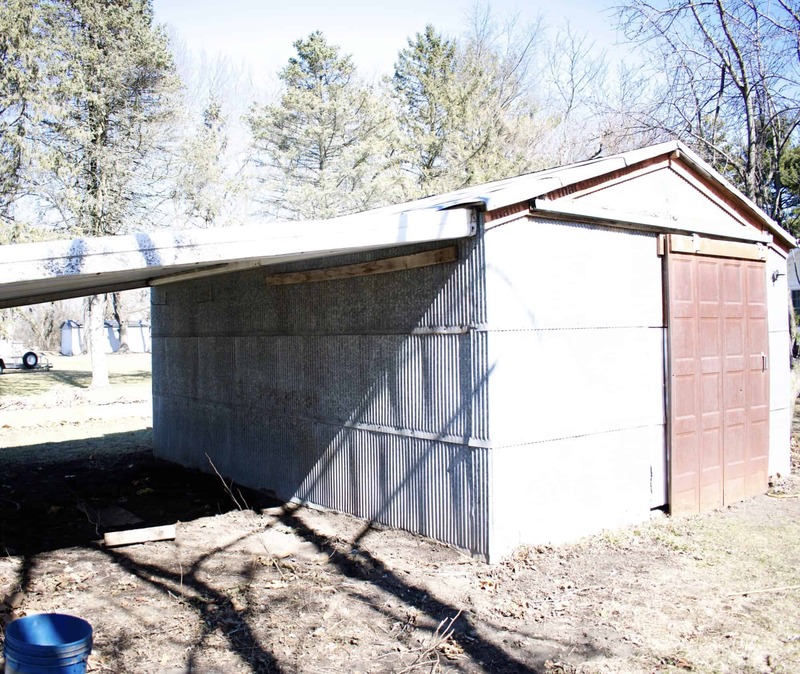 Below is a “before” picture of the shed (the lean-to side is where the goat shed is currently located). 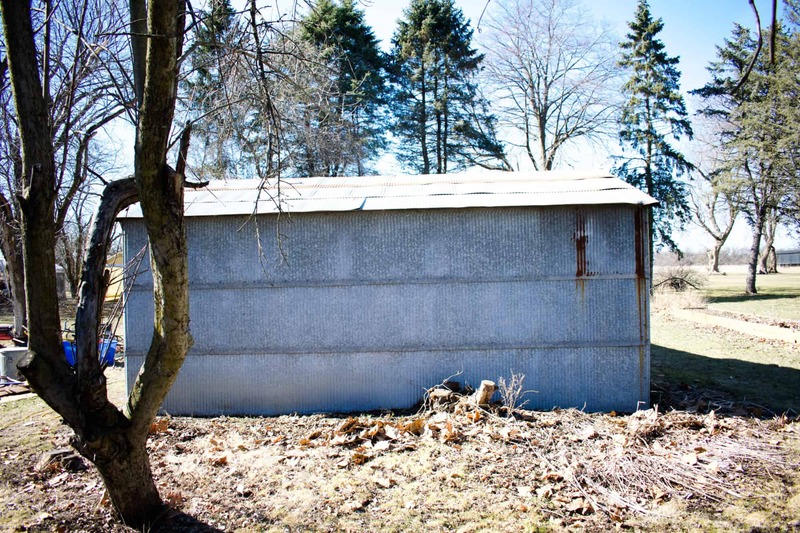 When we moved to the farm, I wanted to knock the shed down, but we needed the space for outdoor storage. The shed was in really rough shape and Ben had to evict raccoons and mice. 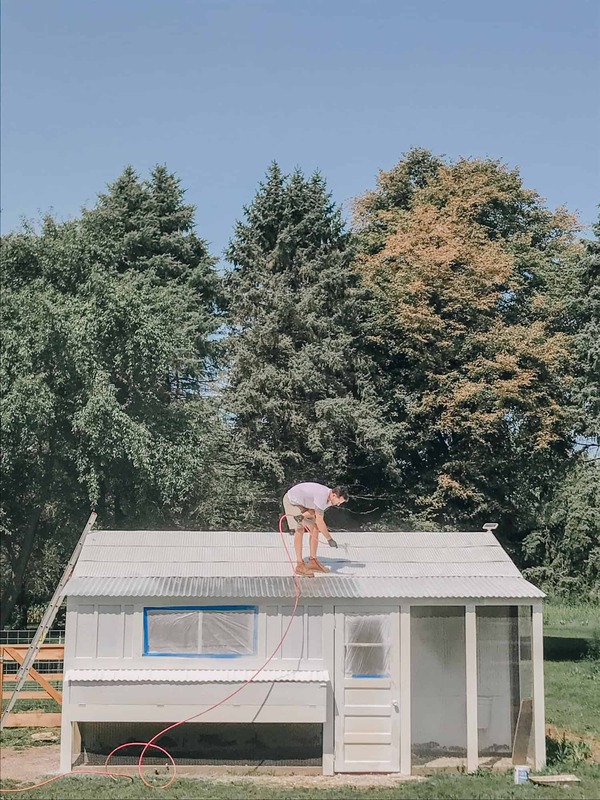 Needless to say, I wasn’t overly excited about using the shed for goat and chicken shelter, but it was the only way that Ben would agree to getting farm animals, so I went along with it (ha!). In order to build the chicken coop, Ben built another lean-to on the opposite side of the shed. The top portion is the chicken coop and the bottom portion is the chicken run. The nesting boxes are on the exterior of the coop. But let’s be honest, our stubborn chickens prefer to lay eggs directly in the coop. Fingers crossed we can break them of that habit! Check out the finished project below. The little details are the best part. Board and batten siding to match our house and a barn-style door? Yes please! In case you’re wondering where the chickens are, they’re probably hiding in the hydrangea bush. Strange, strange birds. Or maybe they’re hanging out on our deck, because that definitely happened last night. We clearly need to rearrange our current fencing! 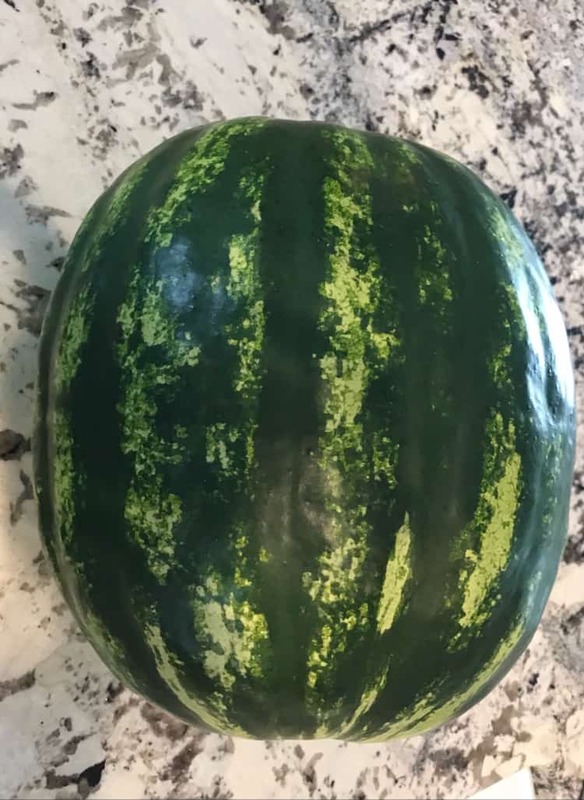 On a very unrelated note, we harvested a 23 pound watermelon yesterday. How does that even happen?! 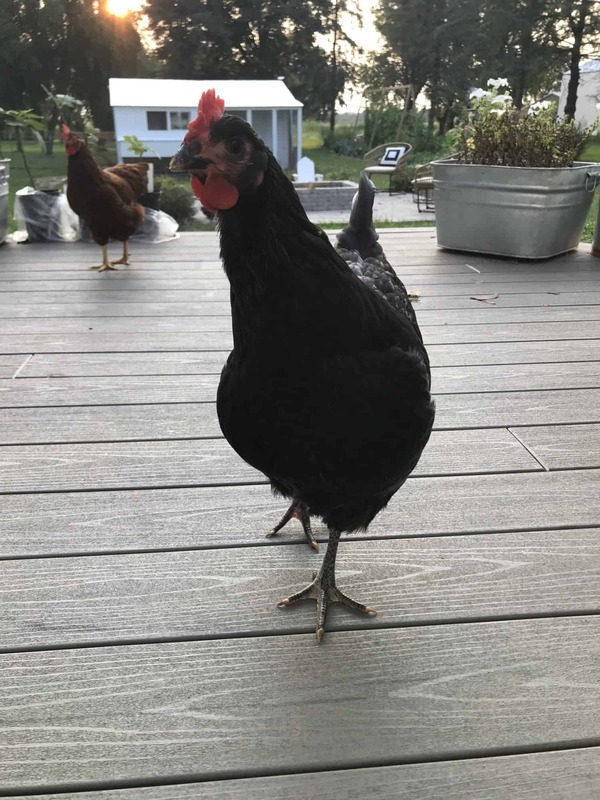 Have you considered getting chickens? 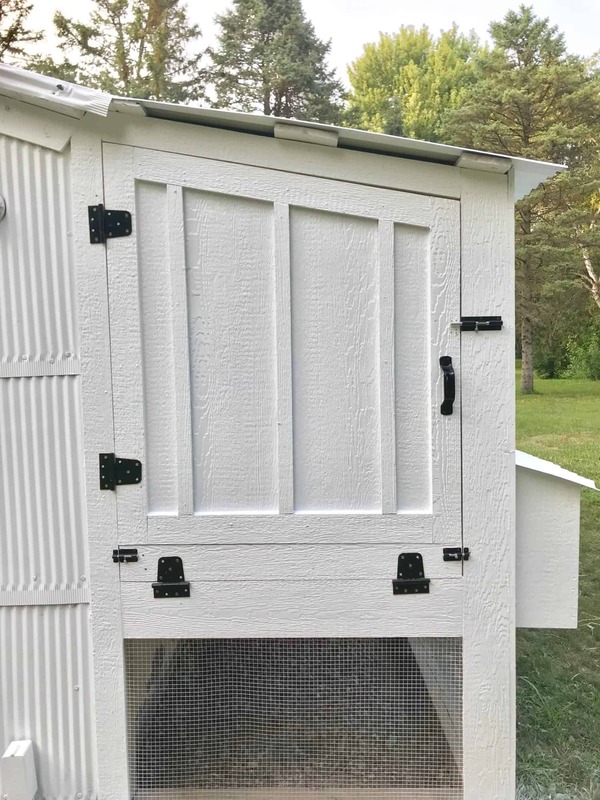 If you already have chickens, what kind of coop did you get? 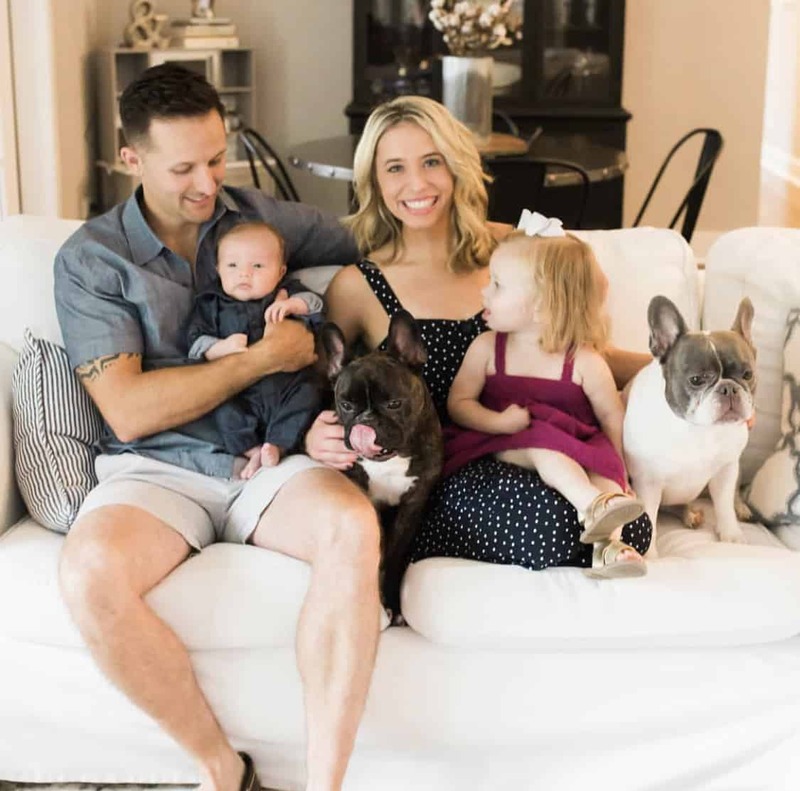 Happy Monday and I’ll see ya back on the blog this week! Next Article Next post: Expanding the flock with SIX new baby chicks! Also, you should probably drill a hole in that watermelon and pop a bottle of vodka in it.